Last Tuesday evening I drove to the Starbucks in Colchester, Connecticut to meet Pat O'Leary, Colchester Youth Soccer's Director of Coaching. We drank coffee (medium latte), talked soccer, and signed a club development contract for the next three years. I really don't know much about "sales" or "the sales process." But I love to listen, to talk soccer, and to help soccer clubs solve their problems. And I truly value relationships. 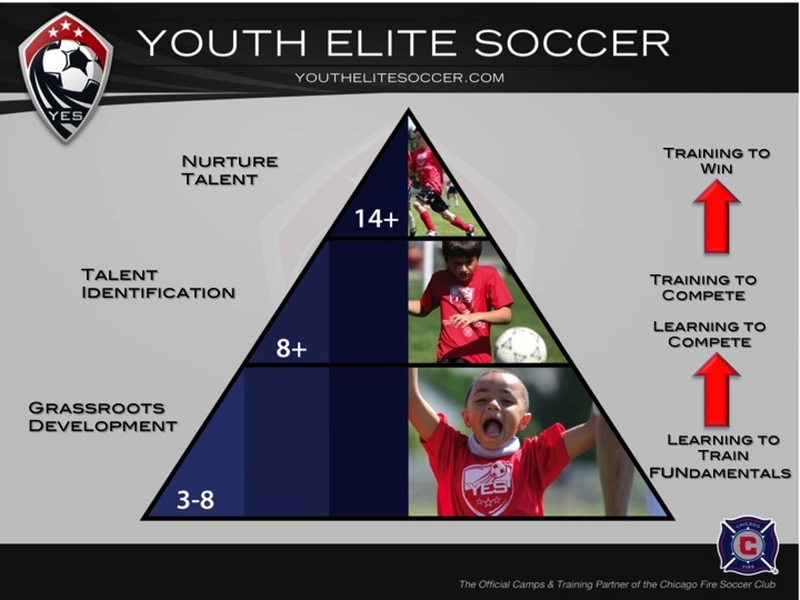 Pat has become a friend of mine over the past five months, as we worked together to customize a development plan for CYS that will engage its players, parents and coaches in a fresh soccer direction. I first sat down with Pat back in December, at the same Starbuck's. He told me that the CYS board felt that the club's development had plateaued, and that they were looking for a company to help them figure out what they needed to do next. "We had soccer companies tell us that they could do whatever we wanted them to do. But we didn't know what we wanted to do." Pat said. "We needed someone to partner with us, to tell us what to do." As a YES Regional Manager, I have found that humility to be common among New England's soccer community. Many boards are comprised of good people and good parents who are not soccer "lifers." They are involved in soccer because their kids love soccer, and because they love their kids. They realize that unless their club's development plan engages and improves the parent-coaches, the players will have a hard time translating good practice into good game-performance. And so YES developed a Long Term Player Development Pathway in partnership with CYS that will focus on engaging its parent-coaches through clinics, co-operated practice sessions, YES Session Reviews, and game-day analysis and feedback. YES will deliver this through its YESAmbassador program, by installing a full-time international coach to work with CYS starting this Fall. From the players perspective, the Pathway will nurture, guide and excite players from rec-level soccer through their high school careers. Our goal is to start by teaching "Fundamentals" as early as U5, showing young players how to "think less, and imagine more." At the end of the Pathway CYS aspires to feed Colchester's Bacon Academy with skillful, creative players. We will meet with Bacon's coaches to discuss the types of players they are looking for, and to see how YES and CYS can develop those players. YES works with all of its partner clubs to seek an integrated, community-wide approach. YES has developed an emerging talent program for all levels of players that focuses on a Long Term Player Development (LTPD) pathway. YES believes in promoting imagination, creativity and freedom in players whilst addressing 5 key pillars (Technical, Tactical, Physiological, Psychological and Social) that form the foundation of a players growth and development.